A cable to connect the PSU to a graphics card. 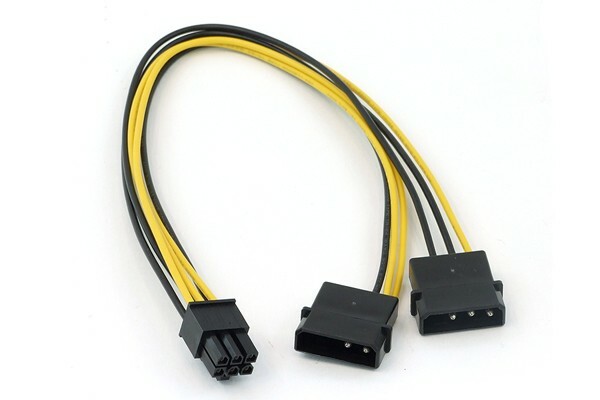 This cable is designed to connect a graphics card with a 6-Pin power connector to a PSU with only 4-Pin Molex connector or too few 6Pin connectors for Multi-GPU systems. The cable has two 4-Pin Molex connector on one end and a 6-Pin graphics card power connector on the other end.